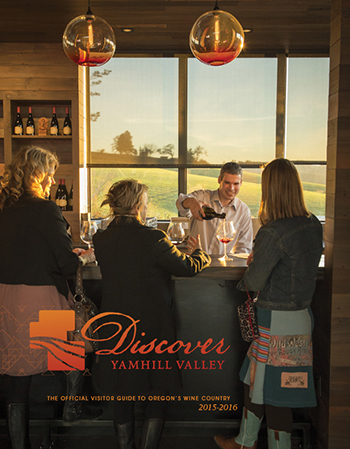 of Discover Yamhill Yalley magazine. Click image for page-by-page display. Printed copies of this guide are available in stores, wineries, hotels and other locations throughout the area and at visitor centers throughout the state. Looking for insights on the foodie scene in the Yamhill Valley? 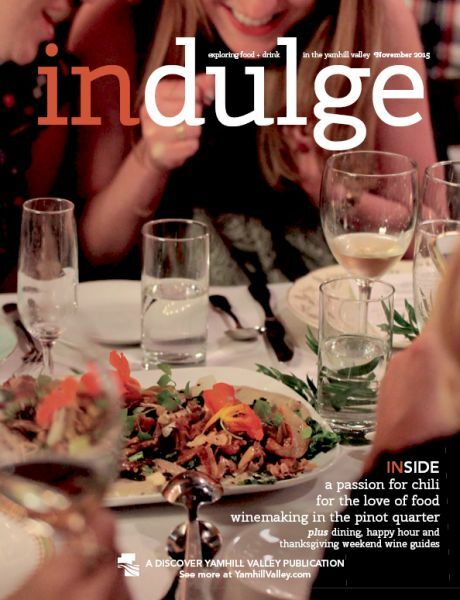 Read all about it in indulge, our quarterly food & wine guide. Here's how you contact us. The YamhillValley.com website and its partner print publications are owned an operated by the News-Register Publishing Co., publishers of the News-Register in McMinnville, Oregon.